The restaurant formally known as Blossom on Carmine is now Urban Vegan Kitchen, serving a fully vegan sit-down brunch and dinner menu. This West Village location proudly hangs photos of animals, jazz players, and surreal art along the wall. The space seems to encourage conversations with friends, getting lost in a book, and a slower-pace of life all while eating a delicious meal. There's a lounge in the basement that can be reserved for events, but also a fun place to have a few cocktails, wine, or mocktails for those looking for something lighter. Pamela Elizabeth (founder of Blossom Restaurant, Blossom du Jour and vegan chocolate shop, Cocoa V.) is the co-owner of Urban Vegan Kitchen, and she worked with Timothy Pakron, aka Mississippi Vegan to create their menu. The food is heavily influenced by the flavors of the American South, some of the most popular items being a mac n'cheese, hush puppies, and their take on chicken and waffles. It's called comfort food for a reason. These dishes are truly indulgent and flavorful while being 100% cruelty-free and vegan. The menu is described as "semi-sophisticated" comfort food because of the artisan plating, ingredients, and ambiance. The price-point is also reflected in the "semi-sophistication" description, being "reasonably priced" for a New York City restaurant, but not the cheap prices (or portions) one would expect of a Southern-influenced joint. However, I think the food and space is truly worth the price. The UVK's mac and cheese is one of the best I've ever had in the city because of its creaminess. The shiitake bacon really brought the dish together, creating an umami flavor explosion in my mouth. The chick-un waffles features fluffy waffles topped with fat nuggets of seitan that's so juicy and tender that it almost tastes like meat (My non-vegan friend said it had the texture of pork!). The UVK Quarter Pounder is a hefty burger that features a plant based patty that definitely fills you up. 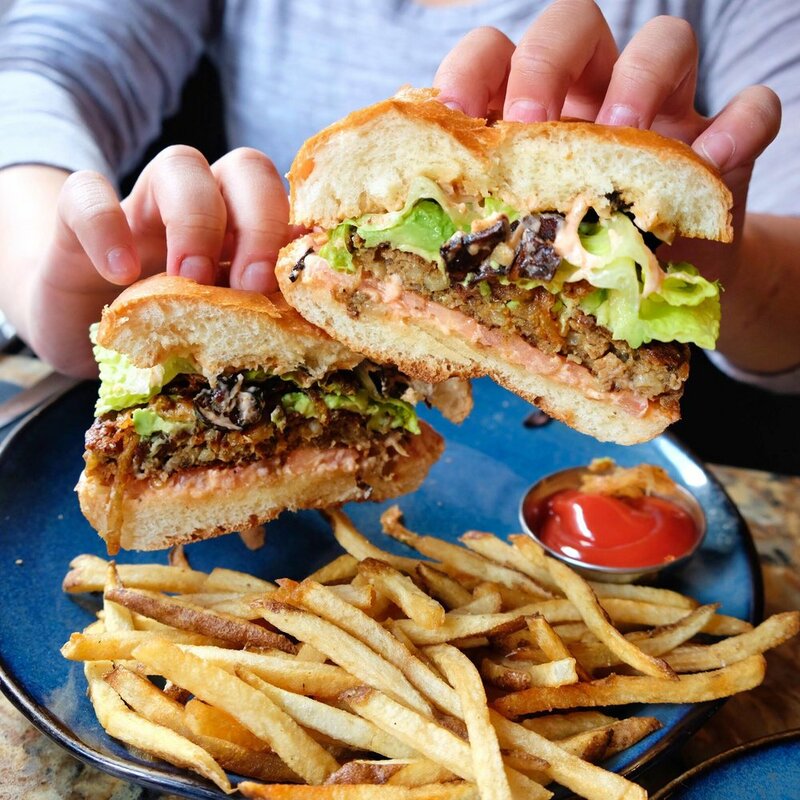 Urban Vegan Kitchen is another amazing spot from the mind of Pamela Elizabeth and definitely worth checking out if you're in the mood for something a little indulgent, but ~ fancy ~ for brunch or dinner.